High Octane Cherry Coke. Photo Courtesy Mabel’s BBQ. Smell and taste are powerful memory triggers, and at Mabel’s BBQ in the Palms Casino Resort Las Vegas, there’s a cocktail on the menu that transports you back to your childhood despite the surrounding neon and slot machines. That’s because it involves the flavors of Cherry Coke. “It is pure nostalgia,” says beverage director David Earle. “The High-Octane Cherry Coke was designed to capture the feeling of a classic 1950s backyard summer barbecue.” The cocktail takes the essence of Cherry Coke and elevates it to better suit your bourbon-loving adult life. 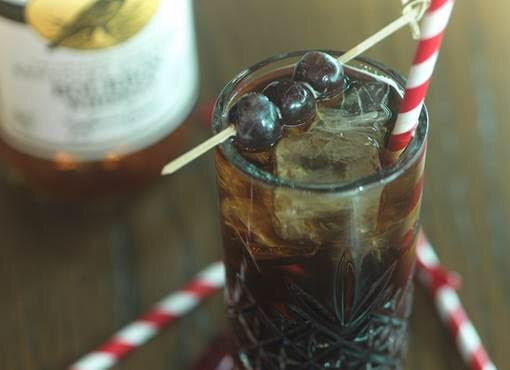 Made with Old Crow bourbon, Berentzen cherry liqueur, amaretto-steeped cherry, and Coca-Cola, the High-Octane Cherry Coke is a good starter cocktail for those new to bourbon, while still being delicious for the bourbon connoisseur. Earle uses Old Crow for the Hi-Octane Cherry Coke because it’s been a staple bourbon in his house for years. “I thought of Old Crow immediately for this drink because not only does it have a great history that includes a strong 1950s marketing campaign, but I needed a more assertive (i.e. less smooth) bourbon to counterbalance sweetness while not being overpowered by the cherry and Coke,” he says. “And in general, I wanted to offer a wide selection of those great lower-shelf ‘old man’ whiskeys in the cocktails like Old Crow and Mellow Corn. While everyone else was looking up, I was looking down.” Earle suggests going for something younger, more inexpensive, and rough if you’re looking to substitute Old Crow in the recipe. 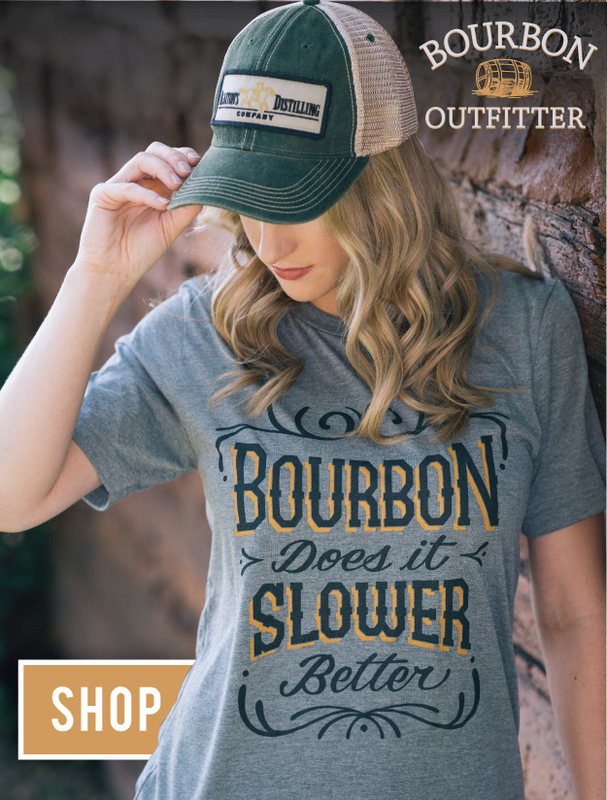 Avoid going with any sweeter bourbon, or something too soft like Evan Williams. “I’d go with J.T.S. Brown Bonded, another overlooked classic,” he recommends. When it comes to the garnish, DIY. “The Amaretto Cherries are super easy to make,” Earle says. Start with preserved cherries that aren’t too expensive, like Amarena. “Drain them and reserve the syrup for other uses (you can even use it in the cocktail if you don’t have a good cherry liqueur), and cover them with any Amaretto liquor.” These cherries get better with age, improving in flavor the longer they steep. “They’ll keep forever and they are simply delicious,” Earle says. Directions: Add bourbon, cherry liqueur, and amaretto over ice in a Highball glass, top with coke. Swizzle while drawing spoon up glass. Garnish with three amaretto cherries on sword across top of glass.